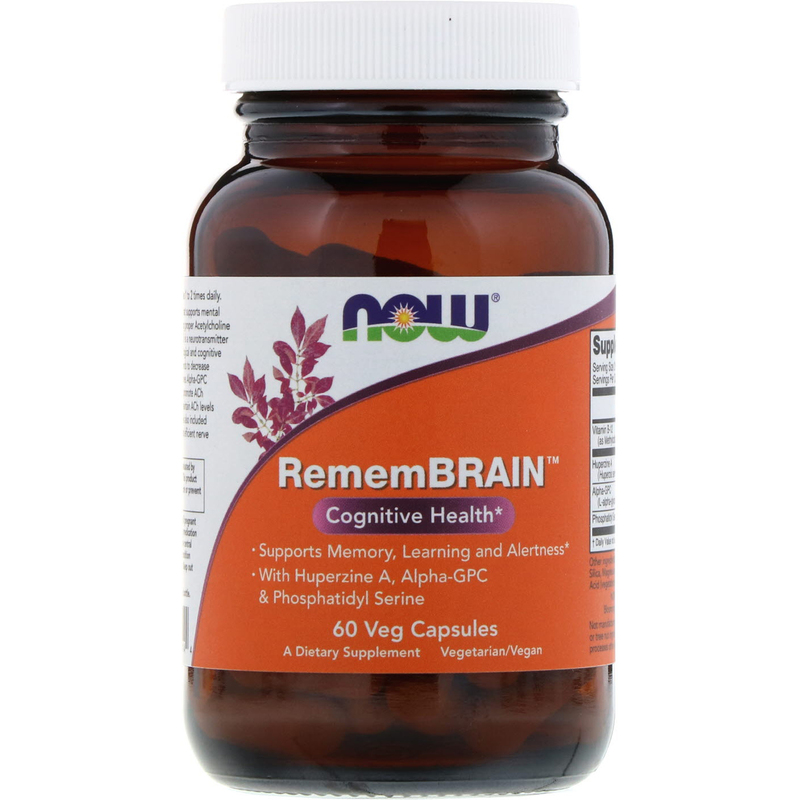 RememBrain is a formulation that supports mental alertness and learning by promoting proper Acetylcholine (ACh) production and activity. ACh is a neurotransmitter that is necessary for normal neurological and cognitive function, and whose production tends to decrease with age. RememBrain combines Alpha-GPC (a bioavailable form of choline) to promote ACh production with Huperzine A to maintain ACh levels in the brain. 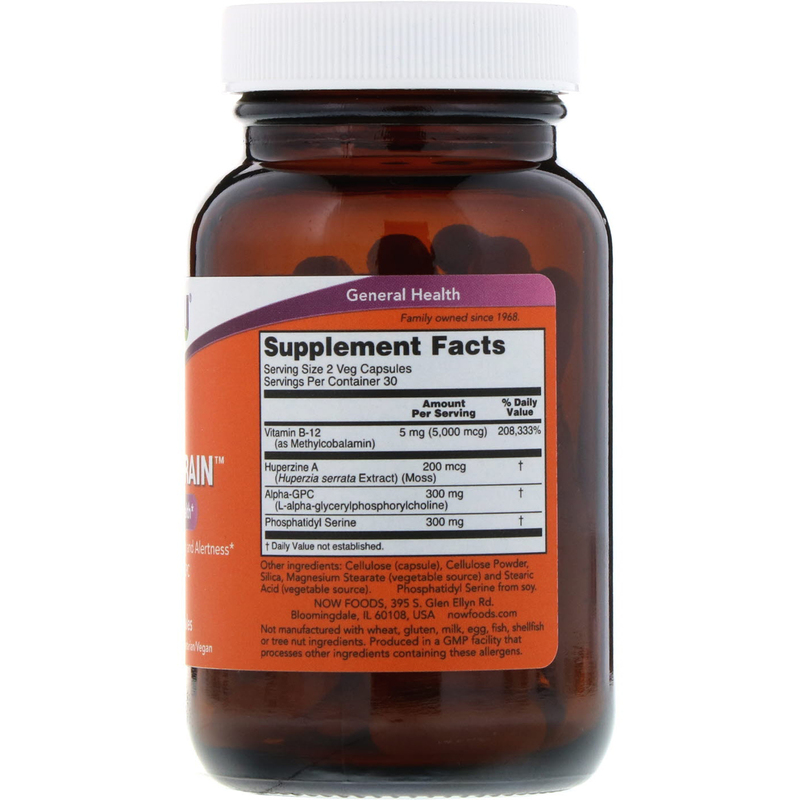 Phosphatidyl Serine is also included to support healthy membranes and efficient nerve cell signaling. Caution: For adults only. Do not use if pregnant or nursing. Consult physician if taking medication (especially medications that affect the central nervous system) or have a medical condition (especially heart or lung conditions). Keep out of reach of children.